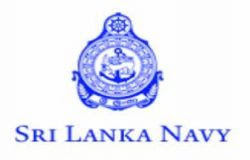 The Sri Lankan navy personnel have rescued four Tamil Nadu fishermen, who were stranded in mid sea near Thalaimannar. Arulanantham, President to Alliance for the Release of Innocent Fishermen (ARIF) told that engine of a boat had developed a snag and it could not sail further. It was drifted into Lankan waters by strong winds. All the four inmates Paralogarajan, Wilson, Jackson and Paralogaraj, were stranded and could not return to the TN shore. Meanwhile, Sri Lankan navy personnel spotted the four stranded fishermen and rescued them. The four fishermen would be handed over to Indian Coast Guard personnel on Saturday, he added, New Indian Express reports.